Santana is a name known globally; Carlos and his band were at Woodstock in 1969, that performance and the many decades of music since helping to cement his claim to being one of the world’s greatest guitarists. Selling more than 100 million albums worldwide over 40 years, he is a multi-Grammy award winner whose latest albums have been collaborative efforts; if there was a college for musical collaborations then it would be chaired by Carlos Santana. His work with Rob Thomas on Smooth is just one of many examples of the successes that have simultaneously invigorated both his and other artists’ careers. Carlos has also worked with new artists, providing them with a launching pad. His last album, the emotional Corazón, saw a re-connection with his Latin roots and featured many famous names from the genre and, alongside his recent The Universal Tone: Bringing My Story to Light memoir, helped to inspire the re-formation of the original band from the first three Santana albums. The re-forming of classic bands to make new music is nothing new, the inspirations for such ventures spanning the realms of desire, from genuine love of the music and a need to play together again to the need to pay the bills or refill the cash drawers. The results of such re-boots have been mixed, to say the least. 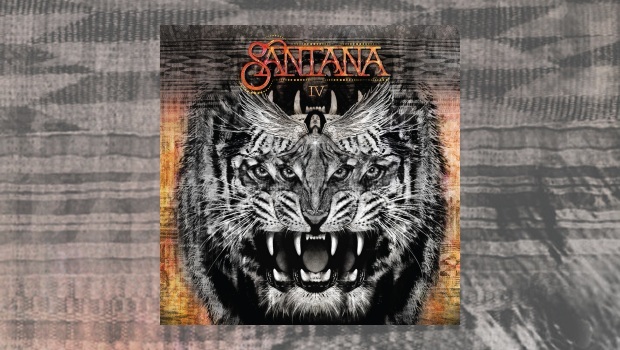 However, Santana IV is hopefully a new trend in the right direction; an album which needed to be made. There are no Evil Ways, Soul Sacrifice, Oye Como Va or Black Magic Woman, or other out of this world chartbusters, instead the entire album is worthy of attention, including a couple of Europa / Samba Pa Ti styled instrumentals. This is the 23rd studio album to carry the Santana band name but only the fourth to feature the legendary original line-up of Carlos, who of course plays lead guitar and sings some lead vocals, bassist Benny Rietveld, drummer Michael Shrieve, percussionists Michael Carabello and Karl Perazzo and subsequent Journey members Gregg Rolie and Neal Schon on Hammond B3/keyboards and guitar respectively. Rolie provides lead vocals for most of the songs not sung by Carlos or guest vocalist Ronald Isley of the Isley Brothers, who sings two tracks. IV opens dramatically with the thrilling Yambu, a true Afro/Latin rumba drum and percussion attack, and you can immediately feel the intensity coming from this reunion as the tempo matches the ferocity of the cover artwork of a snarling animal (an updated version of the cover of the debut Santana album by Heather Griffin–Vine). The rhythm never lets go, the listener transported as the group celebrates its reunion. It sounds like a Mayan ceremony, the refrain sung in unison like an emotionally rejuvenated chorus. Full of power and rich with sound, Yambu satisfies upon first listen; the rest of the album quickly grows on you in a short time. 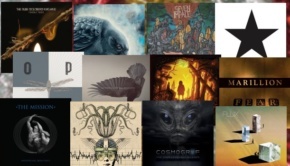 There have been few albums this year that have motivated me to play them repeatedly but IV is one of them, containing mostly hits with no duds, and I recommend it completely. Shake It keeps the fire and percussion pumping as Santana bleeds through with a powerful electric guitar solo, Rolie singing, “Doesn’t matter what I know. Gonna find the groove. Baby don’t let it go. There’s nothing that I wouldn’t do. Make you shake. Gonna make you groove”, and yes, they do. The Hammond B3 is impressive, hovering above a percussion, bass and ripping lead guitar soundscape. The pace is fast and full of power. “Give me some love when I lay it down. Giving it up, never touch the ground. You want more, more, more”. Of course we do as Schon and Santana trade solos and push each other to greater heights. Power in a four minute nut shell. The first two songs answer any questions regarding whether or not this band still has an axe and hammer, they now cool things down with the fun Anywhere You Want to Go which opens with soft keys. Excellent guitar and bass set the pace and it’s like driving a convertible in the sun. A perfect summer song and one of the album’s biggest hits. Named after the famous concert venue in New York, Fillmore East is the longest tracks and the first of four magnificent instrumentals. Sit back and drink this one in on headphones to fully appreciate it, you will be taken back to some of the classic instrumentals from the early albums, especially Singing Winds and Crying Beasts, before it jettisons into electric guitar to retrace the sounds of Europa (Earth’s Cry Heaven’s Smile) from the Amigos album. Of the other instrumentals, All Aboard is a great coda to Choo Choo‘s foot stomping percussion extravaganza, full of Latin fire as the ‘train’ burns down the rails with Santana and Schon having a rollicking time soloing. Echizo, or ‘Spell’, is another fun guitar romp, percussion helping to create an emotional wave to pull the listener under, while You and I is full of soft soloing from Carlos over grand piano. Schon joins in to complement this bluesy, soulful work that’s full of emotion. The beat picks up as Hammond B3 joins, Santana effortlessly building a wall of sound and decorating it with ear piercing riffs. The lyrics of Love Makes the World Go Round, sung by Ronald Isley, are powerful and filled with an inspirational message, but sounding like they came from the Flower Power ‘60s it’s great for nostalgia but may not connect well with Millennials. The music is not as powerful, although the drums, percussion and bass have their moments, and despite Isley’s wonderful performance it sounds too much like traditional Santana without the innovation found on the rest of IV. A similar lyrical stance is found on the more innovative and fun Freedom in Your Mind. The rhythm and melody are perfect as Isley sings, “We can change the world and bring it peace. Making every day a holiday”. The beat steps up and the band join in to make it a celebration that everyone can join. Another favourite. The aforementioned Choo Choo sees Rolie sing lyrics full of love while the pace would be an excellent companion to any workout – the Hammond B3 and percussion certainly get a good workout! Sueños (‘dreams’ in Spanish) shows that Carlos understands the right mood for such a soulful and emotional song, the opening theme almost like something from a James Bond movie before it gently becomes a Santana classic in the same way that Europa did. It lifts your heart and emotions, complete with what sounds like orchestral strings, mellow organ, piano and soft percussion. A winner in every way, it’s my overall favourite song on this collection, along with Forgiveness, the epic closer. The rocking Caminando has more playful lyrics amidst excellent crunching music. Rolie sings, “I’m looking forward to spend some time. Sharing together a glass of…”, then big drums, percussion and revving guitars start grinding, Santana and Schon sparring with so many licks that you will cherish and will stay with you beyond the song’s conclusion. This is a celebration of two wonderful guitarists who should never have parted company. I love the blues and Blues Magic is a fine tribute. Santana and Schon both have deep blues credentials and this song captures all the feeling and compassion that the music brings to its audience. Rolie sings, “Have you ever lost a lover. Drowning in your tears… You just live through the day trying not to hurt every night. Well there’s magic in the blues. Magic that’ll make it alright”. The emotional lead guitar that follows is magical, Rolie singing, “The sky is gonna open and the sun will shine for only you”. Leave Me Alone opens like so many great Santana songs with Carlos’ lead and percussion filling the air. Reaching out to a lover, the Hammond B3 is back and put to great use as Rolie sings, “Leave me alone, I don’t wanna feel this way. Baby don’t go, I never wanna say… leave me alone…”. Come as You Are is a Santana anthem if ever I heard one; no pretences necessary, just enjoy the music. No need for superficial anything – be yourself. Carlos sings most of this Caribbean flavoured celebration in Spanish, an anthem of fun and just what the world needs right now. Finally, Forgiveness is the deep, emotional, epic closer to this reunion. Maybe Santana is talking about what he wrote in his memoir. Maybe it’s about what was needed to get this band back together. Maybe it is more of a global statement. Or maybe it is all of this and more. I’m not sure if this was the last song the band recorded, but it feels like a solemn goodbye… for now, hopefully. Rolie sings with an unfathomable depth of emotion, you feel the skilfulness with which this sing was created as guitar solos build high arches, reaching towards the stars. “Whoa, so many fallen angels. Whoa, can this guide them through the night? Whoa, let forgiveness wrap around them. Whoa, it will bless them with the light. They definitely saved the best until last. This is the reunion album you have been waiting for. Santana has created a template that I hope other future reunions will follow. IV is a masterpiece and proof that this reunion should not be a one–off and I hope they will come back with Santana V as they should never have broken up in the first place. Enjoy every minute of this album… as soon as you can.